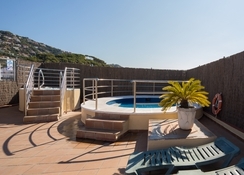 Set in the heart of the lively resort of Lloret de Mar, this 3-star all-inclusive resort offers an array of services and facilities that ensure guests have all that they need. This budget-friendly hotel is ideal for friends, couples and families who want to embrace the resort and all that it has to offer. There is a pool, in-house dining and entertainment that takes place each day, ensuring guests are kept entertained. The beach is a short walk away and there are plenty of attractions to see in the area, making the H.Top Alexis Hotel a great choice for those who want to be in the perfect location. 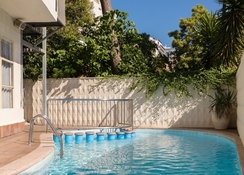 The hotel is just a short walk away from the beach which is just 200m away. Here guests can enjoy the golden sands and calm waters of the bay. For those who want more, there is Water World just a short journey away and castle and coastal walks that enable guests to embrace the wonderful location and natural beauty. There are many restaurants and bars in the area that cater to the needs of all while there are plenty of shops selling souvenirs. 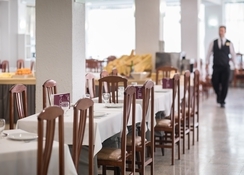 The hotel is 31kkm from Girona Airport and 92km from Barcelona Airport. There is a total of 106 rooms, all of which offer guests a comfortable stay from the moment they arrive. The rooms are traditionally designed and come with a range of contemporary amenities. All rooms come with air-conditioning, Wi-Fi, private balcony, TV with Satellite Channels, telephone, desk, safety deposit bot and an en-suite bathroom with hairdryer and toiletries. The rooms are suitable for up to three guests. Guests can take advantage of in-house dining at the buffet restaurant where they can explore a great choice of dishes. The restaurant covers a great selection of breakfast options and lunch options while dinner serves up an array of local and international dishes. 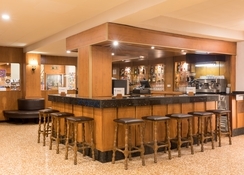 Guests can take advantage of local beers, spirits and wines while all-inclusive gold enables guests to try branded alcoholic and non-alcoholic drinks. For those who want to try something different, there are many restaurants and bars in the area to choose from. 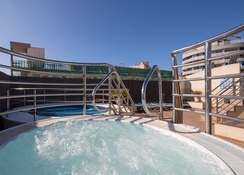 The outdoor pool is the perfect place to enjoy the Spanish sunshine while children can spend their time in the kid’s club or play area. 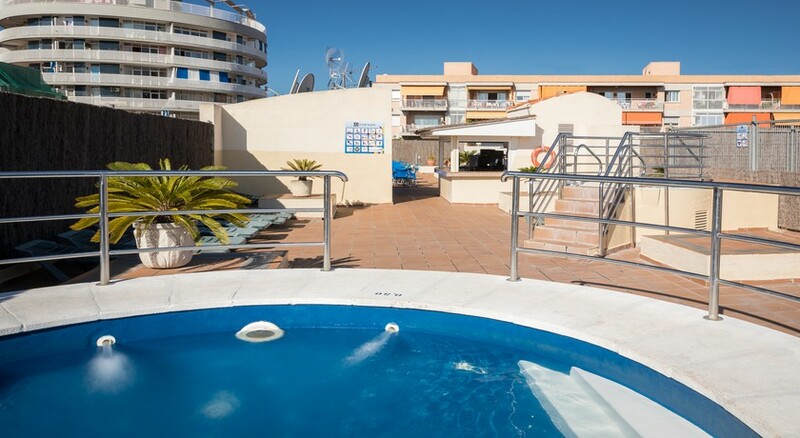 Here they can take part in a wide range of games and activities and if adults want to relax, then the two rooftop Jacuzzis will really hit the spot. The staff put on entertainment during the evening which includes live music, dance shows and a DJ. If guests want to try something different then they can take advantage of the water sports on offer. I don't know why all the bad reviews, this place is cracking, the room we bad was spacious with a massive balcony overlooking the ocean if you squinted enough. There was a full sized bath tub with shower which workee perfectly got you wet in all the right places ;). The beds were amazing to crash into at 5am after a night on the free bar if all inclusive. The bar staff are extra friendly and if you take give minutes out of your holiday to get to know them you will be rewarded well with lots of beer. They remember your orders and have drinks ready. The food is what you pay for pretty original it was luke warm but a microwave is provided, again you get what you pay for and the small compromise on the food ia a great bargain for having such a quality place to drink and crash whilst visiting the town and night life. All it took was for me to steal deans drinks voucher and throw it into the pool, he was so excited he jumped in fully clothed and enjoyed an hours swim in the pool he had all to himself. The manager on arrival was friendly and even warned us not to leave the hotel late at night without first securing our possessions due to the crime activity outside. The rooftop bar was not open due to technical issues for our stay but everythinf else in this place made up for it. Would I stay again? Most definantly!!! Look past the bad reviews and remember your paying a cheap price for a base camp worth it good beer laughs women bosh. Okay hotel. Clean but very dated. Basic facilities. Ok but not brilliant but perfect location for the beach being only a 5 min walk. Coach transfers drop you up the road and you have to walk to another hotel for pick up. Enjoyed stay with minor difficulties.